Keishi Otomo has emerged, during the last years, as one of the most successful adaptors of manga in Japanese cinema, following in the footsteps of Takashi Miike, with films like the "Rurouni Kenshin Trilogy" and "The Top Secret: Murder in Mind". 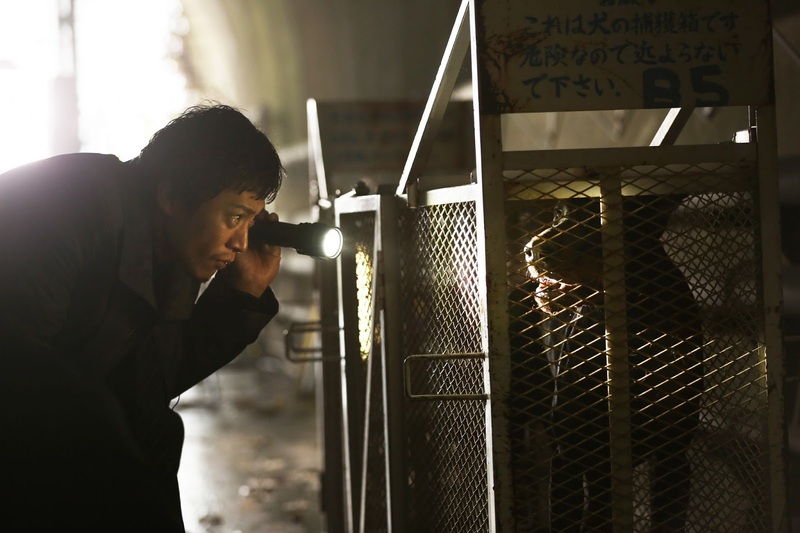 In the case of "Museum," he goes to a different direction from samurai and sci-fi movies, and presents a crime thriller that lingers somewhere between "Saw" and "Seven". Detective Hisashi Sawamura is one of the best detectives in his department, highlighting his ingenious and coolness every chance he gets. Deep down, though, he is a mess, since his wife abandoned him, taking their son with her, after suffering years of neglect. 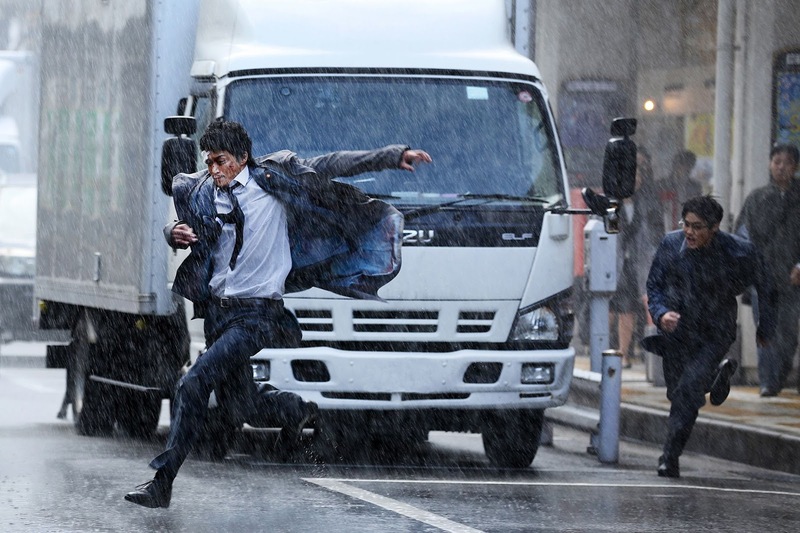 Around the same time, a serial killer starts appearing in Tokyo, killing his victims in ritualistic but grotesque fashion, with the murders taking place only during heavy rain. The perpetrator, a strange man wearing a frog-like mask and a trench coat soon shows himself to Sawamura, mocking him, since the police do not seem able to catch him. Furthermore, the clues left on the scenes point in a case that happened some years ago, which involves Sawamura's wife who seems to be in extreme danger. An already broken down Hisashi, falls even further into a downward spiral that will lead him to the most dangerous paths. Otomo manages to take the repeatedly used themes of the aforementioned Hollywood movies and present a unique mixture by placing them in a Japanese setting. The demise of Sawamura is paired and deriving from the "so close, but not quite there" theme that appears repeatedly as the perpetrator seems to mock him and the police, outsmarting them a number of times. In this fashion, Otomo explains the reasons behind the protagonist being a nervous wreck, and at the same time retains an agony that extends until the point the criminal is revealed. The general aesthetics of the film, up to that point, are much like "Seven", while, after that point, become more like "Saw", with the grotesque images and the claustrophobic setting taking charge, although the agony remains until the quite ominous ending. "Museum" is also a blockbuster film, and thus, the car chases and the shootings could not be missing, although they are not as hyperbolic as in their Hollywood counterparts, and actually add to the story, as they highlight the brutality and the superiority of the perpetrator. The editing in the film, which retains the sense of agony throughout the 132 minutes, with some smartly placed cuts, finds its apogee in these scenes. Furthermore, the almost constant rain, the dres code of the majority of the policemen, with their dusters, and the bleak colored environment induce the movie with noir aesthetics, which work quite well in the general setting. In that fashion, the cinematography by Hideo Yamamoto is impressive, as he highlights the different locations the film takes place, while the same applies to Toshihiro Isomi's production design. The scenes where the victims are discovered are among the most impressive in the movie, in grotesque fashion. A number of scenes feature much theatricality, particularly the ones where all the policemen are gathered together, which also functions quite good as a different approach to the rest of the production. Expectantly, some hyperbole in the acting is not missing, particularly deriving from Shun Oguri who plays Sawamura, and from the unrecognizable Satoshi Tsumabuki, who plays the villain, although his acting is more measured. Apart from that, Oguri does a nice enough job in highlighting his character's demise, which, in his case, actually functions as a driving force, in a series of events that have him look in the mirror for his actions regarding his family. Tsumabuki is impressive as the villain, while Yutaka Matsushige as Sawamura's superior and Mikako Ichikawa as the mysterious doctor present their characters in noir style, with much restraint. "Museum" is a great crime thriller, in a genre that seems to have been placed in the background of the Japanese movie industry, and a truly rewarding cinematic experience, in blockbuster style.